Dr Greenstuff Alpha demo Release. Humanity manufactures herbal medicines since long time and in our time some secret Labs develop new drugs to save life. You work in a hospital in this secret laboratory in order to create medicines. Develop your laboratory as you wish and grow your first plants. Watering them,watch them grow and cut them to make your first crops. Once the bottom gathers, buy and use various instrument in order to extract the active ingredients and create new drugs. 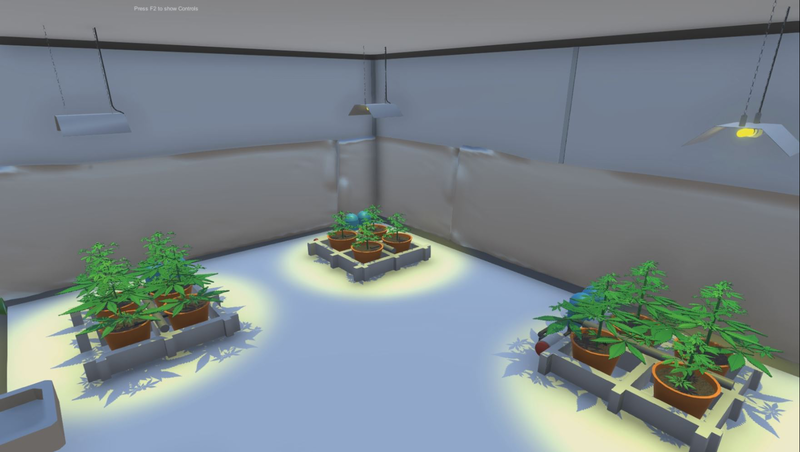 This game is in early acces with this Alpha demo you can grow Weeds and make two different drugs with them. Early access means you can encounter some bugs,but with your feedback, i will correct them. SUPPORT PROJECT by donate some money,It will be indispensable to be able to make "grow" this game. In final release get acces to many other plants like: Pavot,cactus...and many more. More recipes will be implemented and better gameplay mechanism.